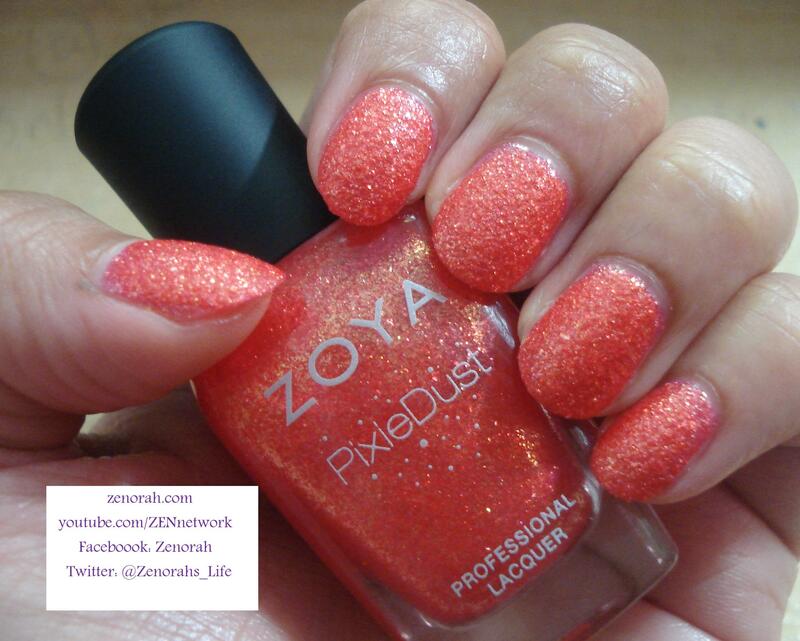 Zoya ‘Destiny’ – is a bright coral-orange infused with a TON of gold shimmery glitter particles based in their Pixie dust formulation. As I mentioned earlier this is part of their Summer ’13 Pixie Dust collection and it is STUNNING!! I read on a couple of blogs that it is VERY similar to OPI Jinx from their James Bond Collection so if you have that then you can skip on this one. This photo captures the base colour really nicely!! It is the brightest Pixie Dust polish I have tried from this collection and might be my favourite! I can see myself wearing this one often and may try it as a pedicure this weekend. This photo captures the BEAUTIFUL golden glitter/sparkle suspended in the polish when it dries. It required two coats to be completely opaque & the dry time was around 20 mins to be completely dry. It took a little longer to dry but I didn’t use any base coat or top coat so I’m pretty happy with the result of the manicure. It does feel gritty on the nails but it is a durable manicure so if you’re a busy mom on the go I would definitely recommend this polish! 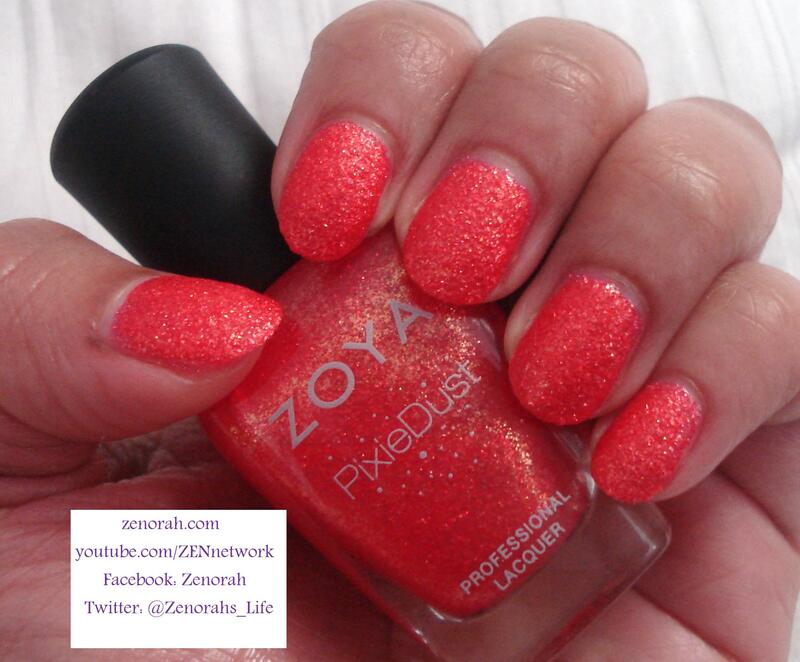 So far I am seriously impressed with Zoya’s Pixie Dust collection & this is a MUST have for coral polish lovers! 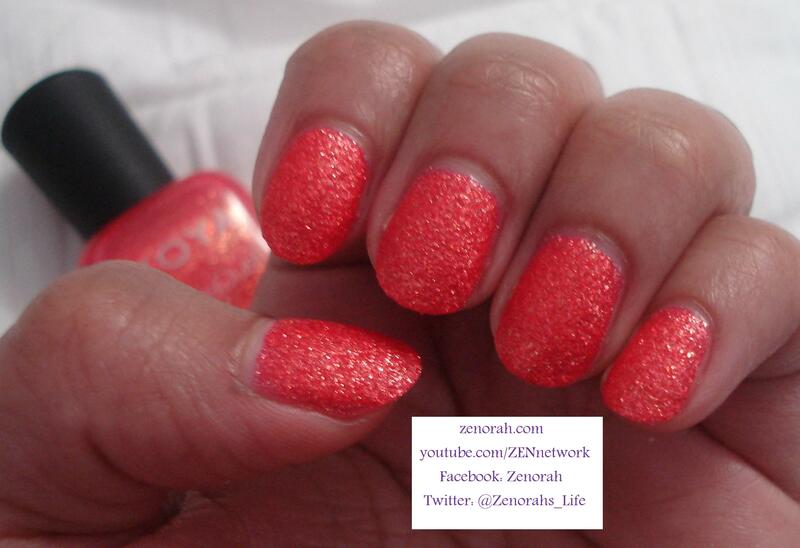 Do you own Zoya ‘Destiny’? What are your thoughts on this nail polish? Isn’t it gorgeous??! love it! for sure! definitely one of my favourites!